Nashville, Tenn. — Kenny Chesney came to Nashville fresh out of college with a headful of dreams and a fistful of songs. He didn’t know how his adventure was going to turn out, but he intended to put his whole heart into it. Along the way, he released 17 albums, has now scored 29 No. 1s, played 135 stadiums and became the only country act on Billboard’s Top 10 Touring Acts of the Last 25 Years, helping break a lot of today’s headliners along the way. HAILED AS THE "SEXIEST SONG OF HIS CAREER"
NASHVILLE, TN - Oct. 31, 2016 - Multi-PLATINUM singer/songwriter Dierks Bentley released the title track from his critically acclaimed album BLACK (Capitol Records Nashville) today. Written by Bentley, Ross Copperman and Ashley Gorley, “Black” has been called one of "the sexiest songs of his career" by the Associated Press and Rolling Stone and is applauded for being "rich with detailed lyrics only made even more vivid by Bentley's rasp" (Esquire). NASHVILLE, TN (October 27, 2016) – A star-studded collection of artists lent their voices to Band Against Cancer: The Sarah Cannon Tour last night (10/26) as part of a special Grand Ole Opry performance, celebrating a successful run of shows to support blood cancer awareness. Martina McBride led the five-city charge before the tour’s final stop in Nashville alongside friends Little Big Town, Cassadee Pope, Scotty McCreery, The Cadillac Three and Charles Esten and John Conlee. Hitmakers Thompson Square and newcomer Hudson Moore were a part of the tour’s previous stops. The tour and accompanying national media campaign, both anchored by McBride, generated more than 500 million impressions that have contributed to the support and education of community-based cancer resources including the Leukemia & Lymphoma Society. NASHVILLE, Tenn. -- With USA Today already weighing in with “Kenny Chesney goes ‘deeper’ on new album,” Cosmic Hallelujah is getting ready to bow Friday, Oct. 28 – after delays for creative expansion, a No. 1 this week, a duet with rock/pop superstar P!NK “Setting the World on Fire,” and a cadre of media appearances to draw the No Shoes Nation even further into the follow-up to his four straight No. 1-yielding The Big Revival. Nashville, TN - Oct. 25, 2016 - CMA "Entertainer Of The Year" Nominee Garth Brooks marked the unrivaled achievement of becoming the first recording artist in the history of music to earn Seven Diamond Album Certifications from the Recording Industry Association of America (RIAA) last night, as thousands of fans filled every inch of Ascend Amphitheater and descended on the surrounding streets of downtown Nashville, TN to celebrate the monumental milestone. This morning, Target and Garth Brooks announced full details surrounding Target’s exclusive 10-disc boxed set, “Garth Brooks: The Ultimate Collection,” including pre-order and track listing. Available now for pre-order, the collection ($29.99) will be released Nov. 11 and include Garth’s new studio album two weeks prior to the album’s street date and a series of unreleased tracks, including the 25th anniversary edition of “Friends in Low Places” with special guests George Straight, Jason Aldean, Florida Georgia Line and Keith Urban. A limited release holiday pre-order bundle will also include “Christmas Together,” the first-ever duets album with Garth and wife Trisha Yearwood. MINNEAPOLIS (Oct. 24, 2016) – Target Corp. (NYSE: TGT) and Garth Brooks today announced the complete track listing and pre-order information for “Garth Brooks: The Ultimate Collection,” the 10-disc boxed set featuring Brooks’ new studio album and nine discs of curated music from his celebrated catalog. The collection, available only at Target, features 18 previously unreleased tracks, including the highly-anticipated 25th anniversary edition of “Friends in Low Places” with special guests George Strait, Jason Aldean, Florida Georgia Line and Keith Urban. NASHVILLE, Tenn. – (October 17, 2016) – Platinum-selling recording artist Cole Swindell revealed the track listing and the EP cover for his Down Home Sessions III today. The EP, Down Home Sessions III, will be available digitally on October 28 via Warner Bros. / Warner Music Nashville. Nashville, TN- Oct. 17, 2016- CMA "Entertainer of the Year" nominee Garth Brooks continues to heighten anticipation and set the pace for the release of his upcoming 11th studio album, revealing to fans the cover art and title: GUNSLINGER, during his weekly “Inside Studio G” Facebook series. Drawing inspiration from quarterbacks who make fast and fearless moves, the album title first appeared during this weekend's SEC Game of the Week on CBS, where his song “Pure Adrenaline” serves as the amped up theme. The unyielding confidence of GUNSLINGER parallels Brooks’ live show, filled with risk, energy, heart and unpredicted outcomes. The album will be released on Nov. 25 on Pearl Records, Inc.
NASHVILLE, Tenn. – (October 14, 2016) – Fresh off winning the NSAI Songwriter/Artist of the Year this week, Platinum-selling recording artist and CMA New Artist of the Year nominee Cole Swindell celebrated yet another No. 1 song yesterday in Nashville for his career-defining multi-week No. 1 hit “You Should Be Here,” which has surpassed over 1 BILLION audience impressions and still growing. He and co-writer Ashley Gorley celebrated with industry friends and family at Swingin’ Doors in downtown Nashville just prior to Swindell taking the stage at Bridgestone Arena opening for Florida Georgia Line on their Dig Your Roots Tour. “You Should Be Here” was Swindell’s fifth consecutive No. 1 single which topped his own record of being the only solo artist in the history of Country Aircheck/Mediabase to top the chart with his first FIVE singles. "You Should Be Here" is one of only three country singles released this year to have been certified Platinum by the RIAA. Nashville, TN - Oct. 11, 2016 - Garth Brooks and Trisha Yearwood revealed the album cover for CHRISTMAS TOGETHER last night on Brooks’ weekly Facebook series, "Inside Studio G." The album, the first-ever duets collaboration from the couple, will be released on Nov. 11 by Pearl Records, Inc. In addition to duets, the collection will feature solo performances, as well as special guest appearances. Nashville, Tenn. (October 11, 2016) – Big Loud Records’ breakout star Chris Lane celebrated his first #1 at Country radio with his debut GOLD-certified smash “Fix” at a formal gathering in Nashville hosted by BMI and ASCAP yesterday (10/10). Family, friends, and members of the music industry community gathered to commemorate the milestone and cheer on the songwriters - Sarah Buxton, Jesse Frasure, and Abe Stoklasa - as the publishers (Big Loud Shirt, Big Yellow Dog, Major Bob Music and Round Hill) honored each writer. Nashville, TN - Oct. 10, 2016 - CMA "Vocal Group Of The Year" Nominee Rascal Flatts wrapped their wildly successful headlining Rhythm And Roots Tour this past weekend, in a trek that saw the superstar trio play to packed houses across the country throughout the summer and into the fall. A summer stacked with highlights, the tour also saw the trio celebrate a major milestone of 10 million tickets sold to date, as critics and fans alike relished in the group's ability to execute standout performances year after year. ADDITIONAL SHOWS ADDED DUE TO STRONG TICKET DEMAND!!! NASHVILLE (October 10, 2016) – Last week, during a surprise performance at Nashville’s historic Ryman Auditorium that sent social media into a frenzy, Tim McGraw and Faith Hill announced “Soul2Soul The World Tour 2017” kicking off in New Orleans on April 7, 2017. The 65-city tour celebrates the 10th anniversary of the record-breaking “Soul2Soul II” tour, the highest-grossing multi-year country music tour of all time, and the first time Faith Hill has toured since 2007. And today, due to high ticket demand, the tour announced additional shows in Los Angeles, St. Paul and Bozeman. See additions in tour routing below. NASHVILLE, Tenn. – (OCTOBER 10, 2016) – Platinum-selling recording artist and CMA New Artist of the Year nominee Cole Swindell received the Songwriter/Artist of the Year award from the Nashville Songwriters Association International (NSAI). The Songwriter Achievement Awards were presented last night during the sold-out 46th Anniversary Hall of Fame Gala held at the Music City Center. NASHVILLE – Garth Brooks wasn’t calling Baton Rouge, but he was dialing Houston, Cincinnati, Chattanooga, and Springfield today to alert winners of the CMA Broadcast Awards. Brooks, who is a member of the Country Music Hall of Fame, has received 32 career CMA Awards nominations including Entertainer of the Year in 2016. He has won 11 CMA Awards beginning with the Horizon Award in 1990 (now New Artist of the Year) and Entertainer of the Year four times (1991, 1992, 1997, 1998). 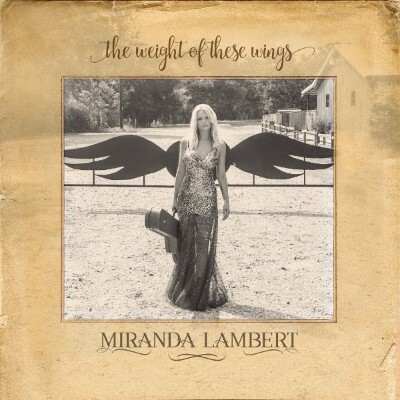 Nashville, TN – RCA Nashville GRAMMY Award-winner, Miranda Lambert, continues to share details pertaining to first studio album in two years, The Weight Of These Wings, which releases November 18. Brad Paisley Announces New Single & Music Video “Today”! Nashville, TN – Superstar Brad Paisley announces the release of his new single, “Today,” which is at country radio now! Currently featured as the iHeartCountry World Premiere track, fans can download “Today” HERE and stream it HERE. NASHVILLE, TN - Oct. 05, 2016 - Current four-time CMA nominee Dierks Bentley celebrated his 15th career No. One "Different For Girls" on Tuesday (10/4) during an intimate sit-down lunch at Nashville's Moto's with close friends and family alongside collaborator and friend Elle King. 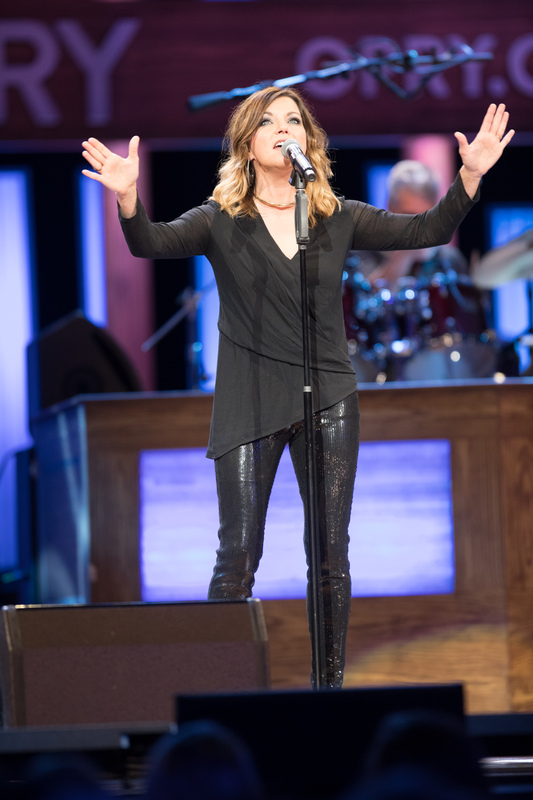 After celebrating the chart-topper with co-writers JT Harding (ASCAP) and Shane McAnally (GMR), Bentley and King performed the CMA nominated song at the Grand Ole Opry, where King made her Opry debut. Paying homage to legendary collaborations, the pair gave the audience a bluesy performance of "Jackson."